But you know, iPhone is iPhone. People just want the newest one! 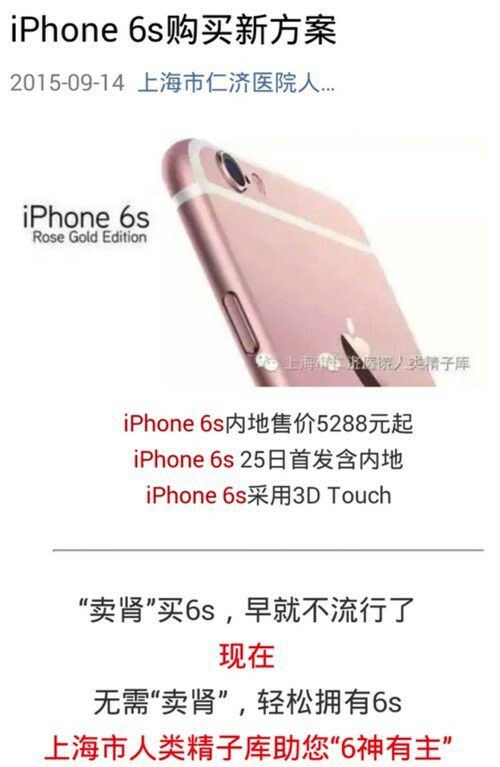 Now ,with the public release of the iPhone 6S, Chinese customers are getting excited again! Instead of selling kidneys, people come up with an idea of sperm donation! Your Sperms Worth an iPhone 6s! Yes, boys, your wasted sperms worth an iPhone 6s! Yangtze Business Times, a Chinese business daily, wrote an editorial of “Sperm Donation for an iPhone 6s”. This editorial drew huge attention. Original advertising was published by HPHSV(Hubei Provincial Human Sperm Vault, an Chinese official sperm collection institution). USD:0 , then you can afford a brand new iPhone 6s (16GB version)! Needless to say, the donator must be a healthy male whose age ranges from 22 to 45, better have higher education. 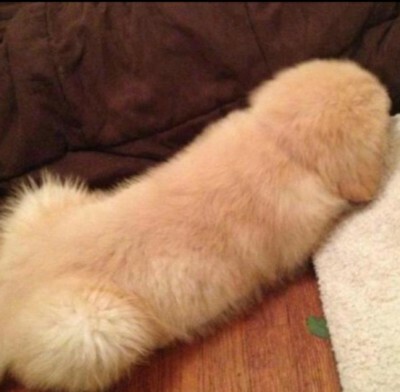 Come on, it’s just a dog! This advertising from official institution caused a furious dispute .While some elders say it is inappropriate because of its lure implication and misleading behavior, other young mans welcome such a purchasing plan, especially college students. In contrast to the horrible news “kidney for iPhone”， the sperm donation seems harmless and relatively acceptable , although it sounds somewhat weird and creepy. But to those young and masculine boys, this plan could save them a lot of money! The point is that you can see the inexhaustible affection for iPhone in China, and it makes sense that Apple is increasingly catering for the needs of China mainland market. Some sperm for iPhone, would you like to switch? Leave a response to discuss.